Following a hugely successful international campaign over the last eighteen months, Netball in Northern Ireland is on the move; participation levels are increasing, performance levels are being pushed steadily higher and Netball NI is driving forward to take its place front and centre as promoter and facilitator of this increasingly popular female sport. 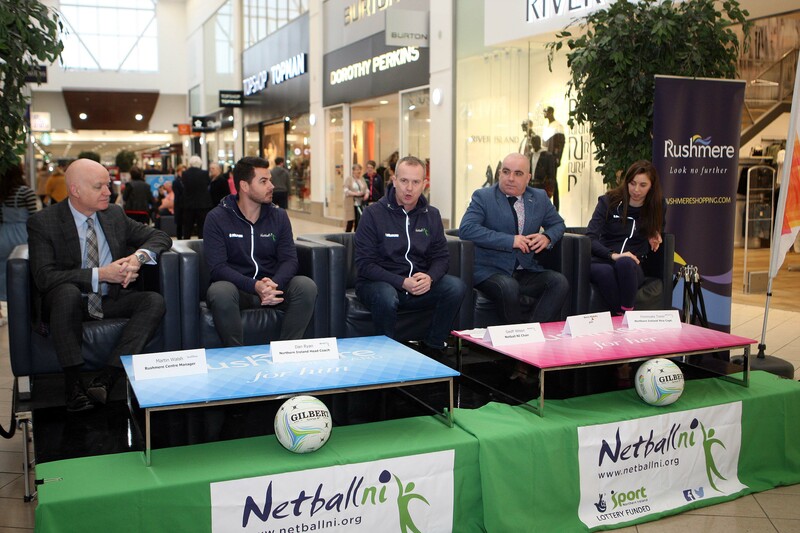 Dan Ryan, appointed Head Coach in November 18 will lead Northern Ireland in the Netball World Cup. Ryan, who joins Netball NI after two years plying his trade as the Head Coach of the Adelaide Thunderbirds in the Suncorp Super Netball League, said it was a great honor to take the reigns of the world number eight. “It’s incredibly humbling to be entrusted to lead the national team and the opportunity to coach at a World Cup is a dream come true,” he said. Not only do Northern Ireland have a new Head Coach in place, the success on court and growth within the organization has led to three new partners being announced over the weekend. “We’re delighted to be working with the most successful netball team that Northern Ireland has produced, and especially during this critical World Cup year. “This is a team driven by passion for the sport and determination to succeed, and I’m inspired by the world-class level they’ve achieved, particularly as semi-professional athletes. Rushmere Shopping Centre are no strangers to Netball Northern Ireland having supported the squad during their Commonwealth Games campaign and have once again come on board to support the team in this World Cup Year. Martin Walsh, Manager of Rushmere Shopping Centre, said he was delighted to see the performances of the team in Gold Coast and is excited about what they can achieve in Liverpool this year. Playing to your best requires full focus on what you are delivering on court, Kukri Sports being involved in elite sport know that better than most and Netball NI are thrilled to have them as official clothing supplier for the next two years. In addition to providing the National Squads with bespoke sportswear, there will also be an extensive Core range offering which will be widely available to all members and supporters. Netball Northern Ireland are thoroughly in the midst of extremely exciting times, some highlights being; the performances of the National Team, the introduction of social netball, online merchandise available and online club locator and registration system. At the helm through all this work is Chair, Geoff Wilson who has been working tirelessly to ensure Netball Northern Ireland are ahead of the game off court to support achieving their performance goals on court. With the countdown to the Netball World Cup well and truly on, Netball Northern Ireland have a lot of work ahead and are up for the challenge.